he cuts the sleeves off of his robe. The wounds have had time to heal. Duke Nukem Forever was almost two years ago. We should put it behind us and remember a time where Duke was a parody and not an ill-advised throwback to some era that never existed. This tea time, we're playing WG Realms 2: Siege Breaker, in which the Duke of Nukem is transported to Ye Olde Fantasye Worlde and fights demon knights with a rotary saw. WGRealms 2: Siege Breaker continues the story of Duke Nukem, playing once more the role of Ash Williams. While flying through space on important business, Duke is sucked through a wormhole. He finds himself in a strange land of castles, wizards, and demons. Since demons are pretty much medieval aliens, Duke is easily convinced by the wizard Axon to do some house cleaning. That summary is being generous in the story department. Though this mod does feature some original voice work, Duke is limited to preexisting clips. Instead of having more one-sided conversations than necessary, the game prefers to let the shotgun do the talking. It helps that Duke is in a familiar situation: saving everyone from their (demonic, in this case) oppressors so he can go home / because they pissed him off / because someone had to. This guy looks really upset about the whole shotgun situation. This means, unfortunately, that the levels are devoid of the little situation-commentary one liners that made Duke 3D so great. The fantasy setting also removes the possibility of cheeky level design involving Duke Burger and funny billboards. It's hard to realize how much you miss something until it's gone. 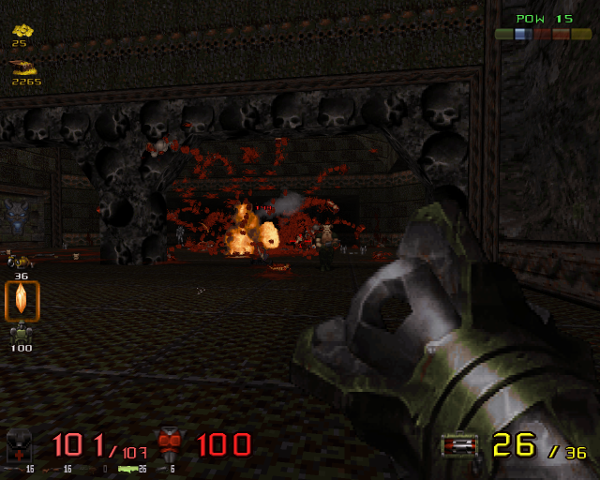 All of the WGRealms 2 modules are built on the Duke Nukem 3D engine. This means that anyone who played it back in the day has a store of nostalgia built up that can help them skate through the frustrating parts. 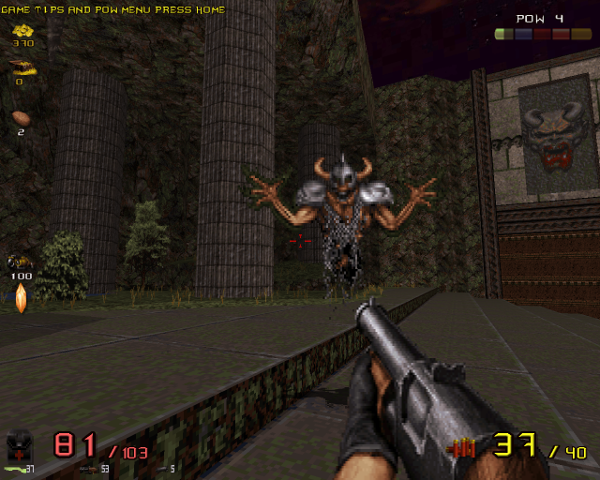 Though there's no copy of Duke 3D to test it against, the mouselook in WGRealms 2 feels like a step up. This is a great boon for people who can't get behind the keyboard-only FPS style. Generally speaking, WGRealms 2 makes great use of the mouse, though there are several spots where it has one leg still in the keyboard world. Navigating menus is clunky and much quicker with the keyboard. Combat is brutally classic. Enemies are deadly and managing health pickups is vital. Fighting is greatly improved by feats of agility beyond what is necessary in modern modern shooters. It took awhile for it all to click again, but eventually Siege Breaker reminded me how to love the complex art of circle strafing. There was no room for these people to circle strafe. They paid for their mistake. Players who are easily frustrated or simply don't want to deal with the ninja-like philosophy of hit-and-run, dodging, and sneak attacks should select the easiest difficulty while holding their head high. Demon shotguns are brutal, man. Don't feel bad. Despite the harsh penalties for letting your guard slip, Siege Breaker is exhilarating when you get into the groove of mowing down packs of demons before they have a chance to respond. Performing shotgun surgery on a floating demon wizard skeleton thing while strafing past a barrage of fireballs is truly 90s zen. One major departure is the POW meter. It increases as you kill enemies and can be expended to turn on a wide selection of powers ranging from damage reflection and regeneration to summoning a horde of oiled-up barbarians. In practice, the meter is a 'win more' button and doesn't see much play if you're just barely hanging on. Siege Breaker mixes the pacing up with boss fights. 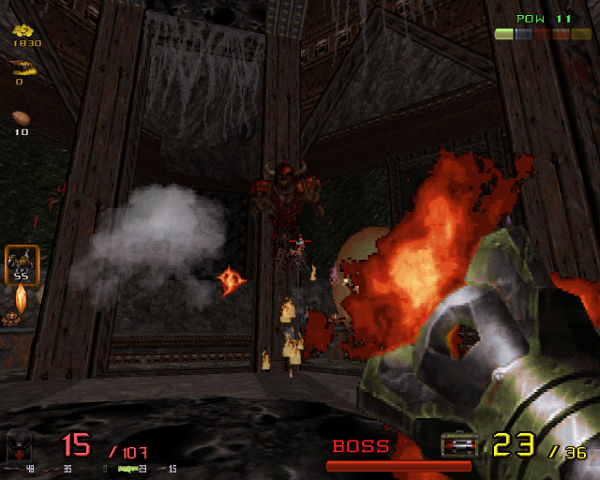 Duke 3D had boss fights, of course, but the one boss encountered in this tea time was extremely dynamic. It had projectiles barrages, teleporting melee minions, movement-impairing ranged minions, and some quirky level design that allowed cheating jerks (like me) some leeway to ninja assassinate the boss with pipe bombs without immediately dying. On the other hand, this environment of 'dodge or violently explode' means that the omitted quicksave and quickload are sorely missed. Playing a throwback game like Siege Breaker gives some interesting insight to how FPS design philosophy has changed over the years. 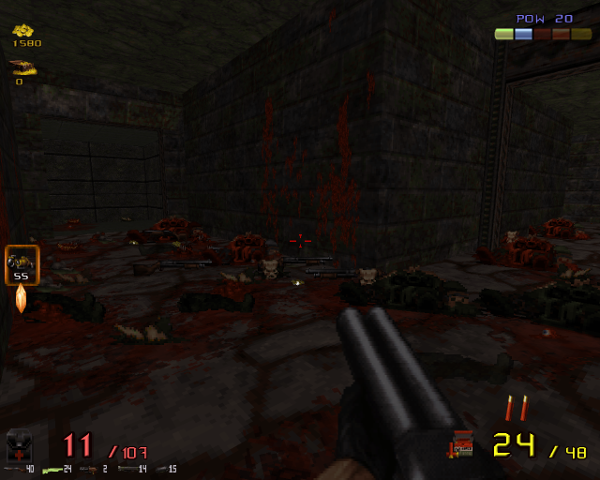 Modern FPS games are often derogatorily referred to as 'corridor shooters,' meaning that there is very little to no roaming or exploring to be done. This setup is often unfairly derided for being dumbed-down compared to the older aesthetic of huge areas riddled with secrets and requiring some exploring to unlock further progress. But I'm good at shooters, I swear! What the 'corridor' design offers is tight level design and, yes, a focus on set pieces or gimmicks. Gimmicks don't have to be bad. Being ferried from one tiny arena to another can be great if each little arena is fun. In fact, being in one area for a short time opens up more possibilities for the designer. They can play with mechanics or designs that are interesting but would be tiring or bad if stretched out over a longer period. Siege Breaker makes you emphatically aware of this difference in trends by embracing the kind of level design seen in Duke 3D. Though players do progress through a level, the maps in Siege Breaker frequently have wide-open areas that can be tackled in non-linear ways. Optional and secret areas abound. There's downsides here, too. Many of the optional areas are not-so-optional once you're desperate for health pickups. Or, if you're suffering from gamer's hoarding syndrome. You don't need that box of rockets, man! You're already full! You have a problem! The lulls in the action are much more noticeable. Once you've cleaned out all the obvious enemies and events, the quiet poking around in corners can be a real buzzkill. It's worse if you're looking for the way to continue the level. With item hunting, at least you can say screw it and go find something to shoot at. Siege Breaker was bad about this in particular. Though the concept of hand holding in games has many vocal detractors, it's definitely not fun to hide the keys to progressing in pools of water before the player has even fought a proper group of enemies. The instinct to search everything is mandatory here. Siege Breaker will be a blessing from on high for people yearning for the old days of FPS. There's a lot of work put in here, and it will definitely stretch your old school shooter muscles. People who are playing it for Duke should be warned: if you loved the weird weapons and secret hunting, there's plenty of that here. 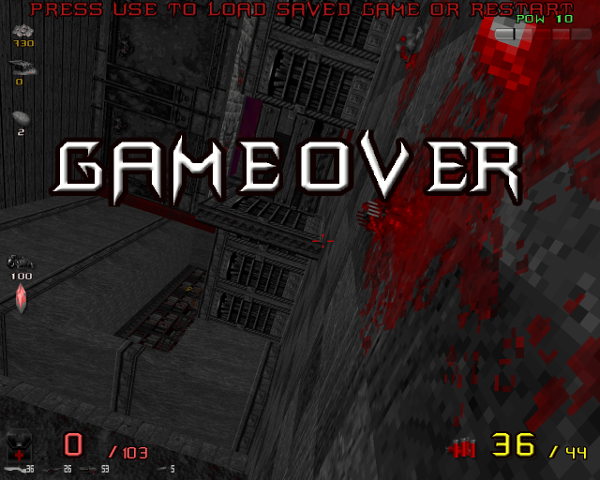 If you want to hear Jon St. John make cracks about Quake and quote They Live, go play Duke 3D again. Want to pretend that this was Duke Nukem Forever? Live the lie by clicking here. Want to suggest a game or genre for an upcoming tea time? Email me at madamarcadia@aristogamer.net.